With today's learning advancements young kids and preschoolers need to learn the proper way to use a keyboard. While typing is still not taught to our children until higher grades keyboards and computers are used in kindergarten and elementary school. It is up to us, the parents to make sure our children get the keyboard and typing skills they need. Thankfully there are fun and easy at home skills your child can learn early giving them the learning edge needed to advance their education. Correct Keyboarding and Typing for Kids. Kids pick up computer skills very early, it is for this reason providing them with the proper tools to learn correctly is a must. Your child will take to learning keyboarding and typing skills easily and all while enjoying their normal playtime routine. 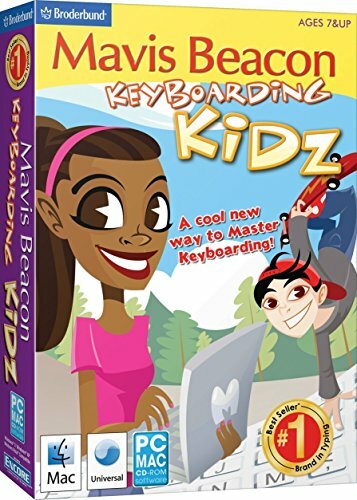 Simply have programs such as Mavis Beacon teaches typing available and on the ready for your child's computer play time. While computers and electronics are a natural part of your preschoolers at home development it is crucial to insure they learn and master the correct keyboarding skills. Young children can pick up some bad habits that will later impact their technology skills if the correct finger placement and knowledge of the basics, such as home keys location, is not taught, The good news is kids pick this up easily all you need to do is provide them with the proper tools to do so. The rest will be child's play. You can rest at ease knowing you've addressed yet another of the learning skills your child may have met with frustration. This summer is packed with great advancements in stimulating developmental toys toddlers love. Follow along as we review the best in toddler summer fun for countless hours of fun. 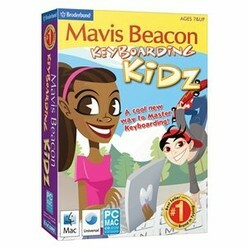 Mavix Beacon teaches young children typing includes the correct methods kids pick up easily. These fun and easy skills set your child on the right path to typing procedures giving them the edge to advance their education and take advantage of the computer technology schools now have in place. Many parents don't consider what a valuable tool it is to teach their preschoolers the proper procedure of typing. This is a hurdle you won't have to navigate later nor deal with difficult habits formed from unstructured computer play. These difficult habits can prevent children from grasping the correct typing procedures later in life. The old hunt and peck method is not something you want your child struggling with nor will they have to. Do tangles have your daughter running from you with the brush in hand? There is a simpler way to brush your daughters hair, ease the pain and stress of brushing her hair. Educational toys and tools advance your preschoolers learning with fun and ease. 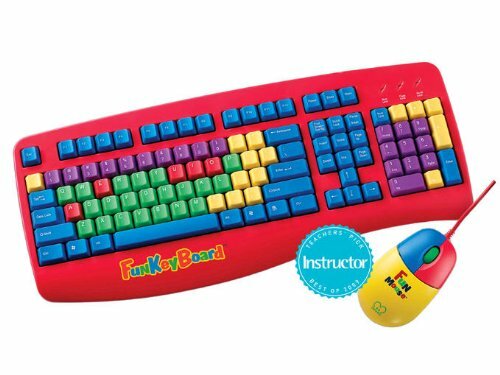 This kid friendly preschooler keyboard and mouse helps introduce young learners to typing and keyboarding skills with comfort, fun and ease. The hip street big button USB keyboard is a great and effective way for smaller hands to hit the bigger keys keeping frustration out of the picture. The bright colors create the visual groupings needed to highlight vowels, consonants, numbers and symbols for greater learning and adaptation to computer skills. This is a great addition to your child's educational needs. 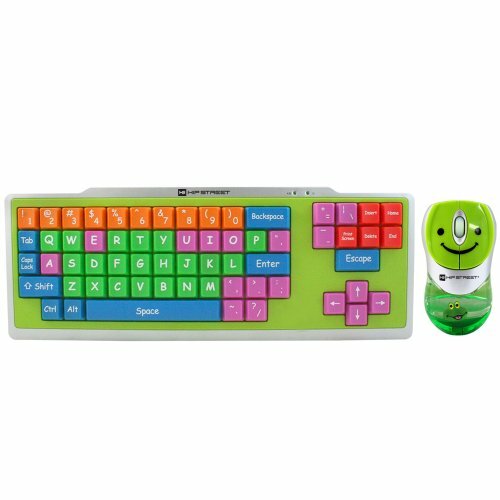 The hip street big button keyboard and mouse is sure to advance your son or daughters keyboarding and typing skills. You and your child will make for some very happy and impressed teachers when they experience the joy of working with your child's advanced skills. Do kids need typing skills earlier now? Miaden, Very good points. I too plan to keep real physical paper books available to all the youth I mentor. Great thoughts on teaching kids overall. It is really important to teach children typing and using every aspect of today's technologies. It is now more important to know how to use computers than to write letter, it seems. In my oppinion, one should know as many things as possible, but to use them in right way. While educating our children how to use keyboards, and later internet and social networking, it is still important to create habit to read books (not online books) and write. Great article! Our kids should learn proper keyboarding skills early in their life. Not only the placement of letters and proper typing, but also the posture which is of priceless value and simple but important investement into childs future and health! samsara, I learned first hand the need for elementary students to have strong key boarding and typing skills. Both my daughter were exposed to computers and keyboards needing to type, I decided to find a great program other wise they wouldn't be offered typing (or technology class as now referred) class until the 6th or 7th grade and then only one class offered during their entire middle school career. After testing many programs I found I liked Mavis Beacon best, it made for a great summer routine. The kids were pleased to be ahead of the class when it came to typing skills as was I. Thanks for commenting. Should I Give My Child an Allowance? What should I give my child for an allowance is a great question every parent should ask. Learn the healthy steps you can take to insure your child grows up money smart.